The attorneys of the law office of Gregory A. Yates, P.C. have devoted their careers to helping regular people who have had extraordinarily bad things happen to them recover damages to compensate them for their injuries or losses. 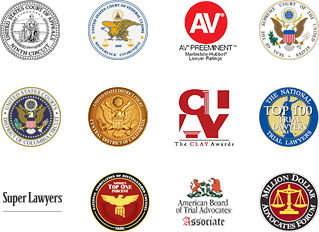 Mr. Yates has chosen associates who share his dedication to assisting those who have suffered physical or monetary losses. In addition, through many of their larger class-action cases, Mr. Yates and his attorneys have been able to force product recalls and modifications to make products safer. Click on these pages to find out more about the individual practice areas. 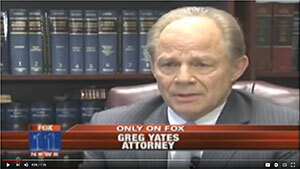 Mr. Yates and his associates have developed a reputation for tenacious, hard-hitting litigation. They don’t spend a lot of time on collateral issues, preferring to hit hard on the main issues of the case. When you choose the law firm of Gregory A. Yates, P.C., you know that your case will be handled effectively, efficiently, aggressively, and competently. And you will be pleased at the level of personal service you will receive – from having your questions answered to being updated on the status of your case, you will always feel as though you are part of the team. If you have any questions or would like to set up an initial consultation, contact the firm. Find out, as many others have, what Gregory Yates can do to help you.